Thermodyn Global Sealing, where your success is sealed, carries Chemours Viton™ fluoroelastomer which is the most specified fluoroelastomer, well known for its excellent (400°F/200°C) heat resistance and resistance to aggressive fuels and chemicals. 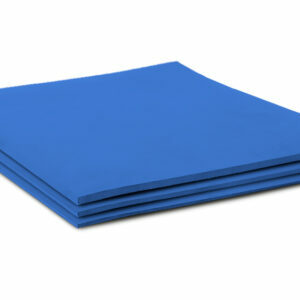 Rubber products manufactured in the USA. 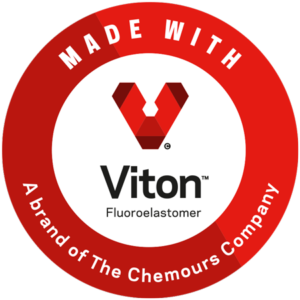 Chemours Viton™ fluoroelastomer is the most specified fluoroelastomer, well known for its excellent (400°F/200°C) heat resistance. Viton Rubber offers excellent resistance to aggressive fuels and chemicals. 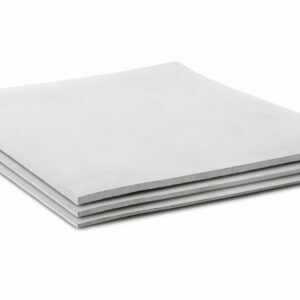 TGS offers multiple styles of 100% Chemours Viton Sheet Rubber that cater to the individual needs and applications of our customers. Viton B (6070-B): Offers resistance to aggressive acids like hydrochloric, sulfuric and nitric acid. It’s also a quality option in sulfuric dioxide applications. Viton GF (TH 7070): Resistance against some of the most corrosive chemicals on the market as well as oxygenated fuels and engine lubricants. 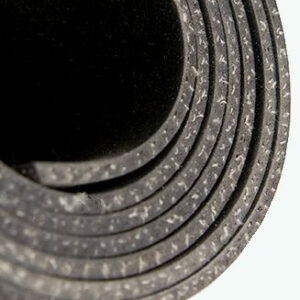 For all your commercial grade or specification Viton Rubber needs, please call our customer service department at 1-800-569-2150 or contact your local service representative.